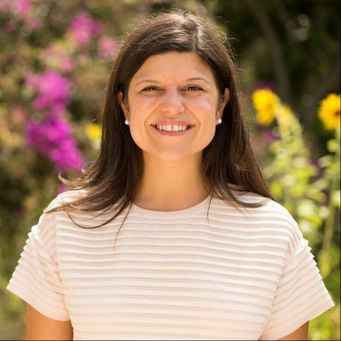 ​Emma Collum is an attorney, activist, co-founder of the National Women’s March on Washington, and Founder and President of Women’s March Florida a 501c4 organization with regional chapters throughout the state of Florida. Ms. Collum serves on the Executive Board for Ruth’s List Florida and is the Chair of the Broward Chapter. Emma began her legal career as an advocate for tenants’ rights, domestic violence survivors, union workers, and environmental protections. She gained valuable policy experience as a legislative aide for the first openly LGBTQ member of the NYS Legislature where she worked on Marriage Equality and Anti Fracking Legislation. Her legal work in helping facilitate and grow small businesses has made her she passionate about STEM education especially encouraging women and girls to grow in STEM fields. Most recently she ran as the Democratic nominee for Florida House of Representatives and was endorsed by President Barak Obama. Emma has been named Glamour Magazine Woman of the Year, Florida Young Democrats Activist of the Year, and Boys and Girls Club Outstanding Woman of the Year. She lives in Fort Lauderdale with her husband and rescue dog Daisy where she continues to practice law and work in her community.